If you don’t live near Oxford and would like to visit the Sunday Times Oxford Literary Festival, there is a good news. 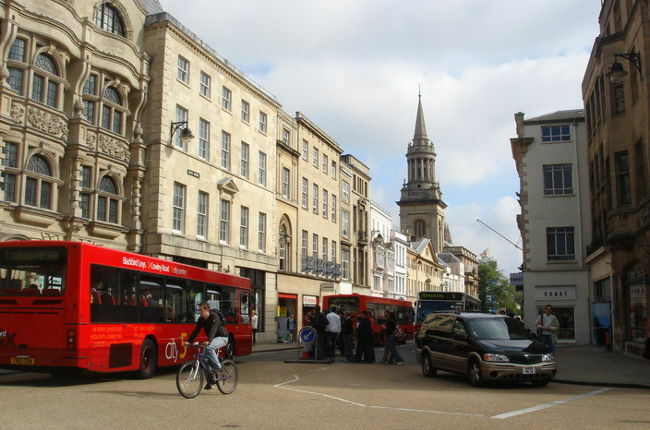 There are plenty of fine hotels in Oxford and nearby. As a result, you shouldn’t have any difficulties finding a nice place to spend the night and enjoy the Festival. Oxford college. By staying in one of historic Oxford college rooms you will be in the very centre of the Festival experience. And besides saving money on a hotel, you will also help the college maintain its beautiful buildings. But since Oxford is quite busy during the Festival, you are recommended to make reservations in advance to make sure that a room will be waiting for you when you get there. The Randolph Hotel, Oxford. If you prefer to stay in a hotel or can’t get a room at the Oxford college, you should perhaps consider The Randolph Hotel. It is located in the very city centre, while all Festival visitors get special rates. For more information about special rates and reservations, please contact the hotel reception or visit mackdonalhotels.co/Randolph. Old Bank Hotel, Oxford. Another official Festival hotel is located on Oxford historic High Street and is nearby all festival venues and popular for luxury breaks. In 2011, it was named the Best City Hotel by the Good Hotel Guide. For more information, please contact the hotel reception or visit oldbank-hotel.co.uk. Old Parsonage Hotel, Oxford. If you prefer more intimate accommodation, you won’t regret staying at the Old Parsonage Hotel in St Giles. The luxury hotel with only 30 rooms was built in the 17th century but it offers all the comfort you could possibly ask for. Besides offering beautifully decorated and furnished bedrooms, the hotel also has a restaurant, bar, private room and three terraces. You can book a room by telephone or online at the hotel’s official website oldparsonage-hotel.co.uk. The Holt Hotel, Steeple Aston. Located in a small village of Steeple Aston, the Holt Hotel is a perfect choice if you would like to be close to the Festival venues yet away from the city hustle and bustle. Fully refurbished coaching inn dates back to as far as the 15th century but don’t worry, its rooms and facilities offer all the comfort of the finest 21st century hotels. For more information, visit the hotel’s official website hotlhotel.co.uk where you can also make reservations.